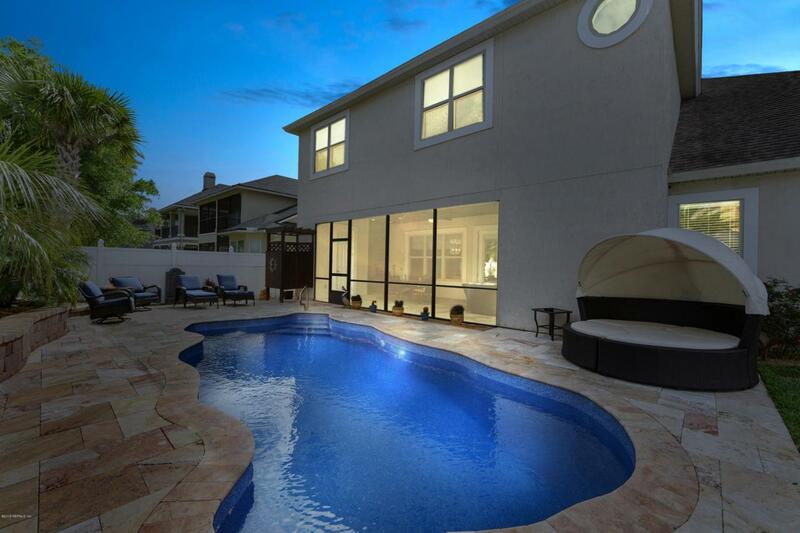 Spacious home perfect for entertaining. 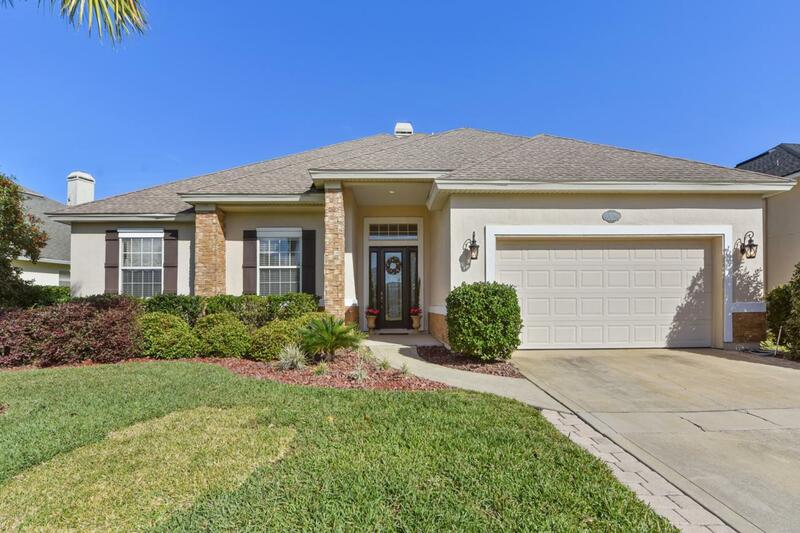 Soaring ceilings, 8 foot doors with beautiful hardwood floors, new carpet in bedrooms . See through fireplace between living room and Great room.Home Office with double doors. Updated spa like bath with doorless shower, body jets & rain head in Owner Bath. 3 bedrooms , office down with bedroom, bath and sitting room upstairs. Open great room, kitchen and large breakfast area . This home offers out door living at its best! Screened lanai with sitting area plus dining area, outdoor kitchen, travertine flooring and tongue and groove ceiling. Cabana Bath & Outdoor shower.Beautiful Salt water pool ready to be enjoyed enhanced with lush landscaping for privacy & side yard. .Gated community. Walk for coffee St. Johns Town Center. 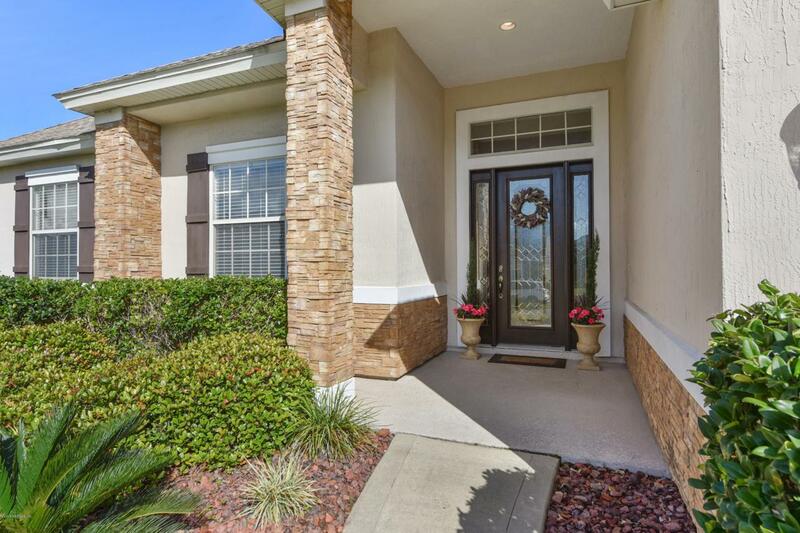 Great location for dining.Close to shopping and dining to St. Johns Town Center . 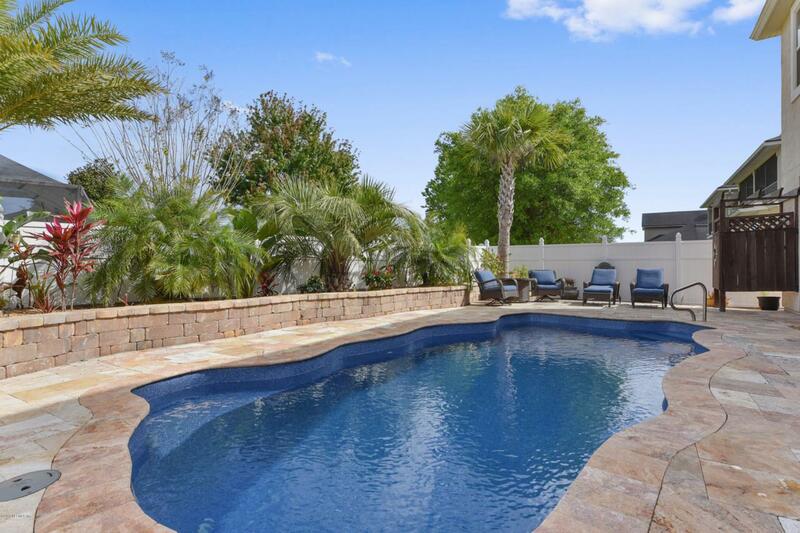 Perfect location with easy access to JTB. This is a MUST see home.